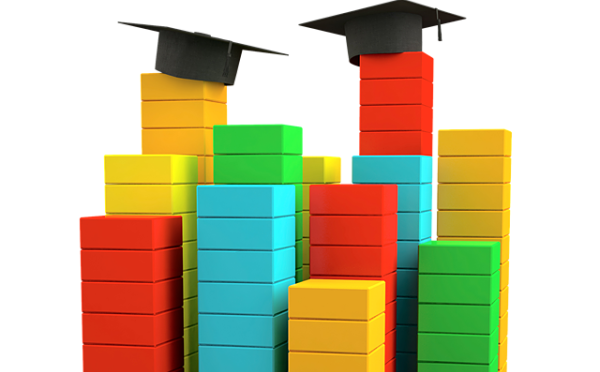 The annual frenzy of responses from higher education institutions to the release of the “big three” higher education rankings which include the QS, Association of Research World Universities and most recently The Times Higher Education World University Rankings is winding up. Top ranked institutions send out press releases celebrating their world classness, and institutions that don’t make the cut decry methodological flaws and simplistic comparisons. With over 12 rankings claiming to be global and over 150 national and specialty rankings “news” of winners and losers will continue throughout the year. Higher education is a globally competitive market and institutions with a high rank can claim exceptionalism that brings in students and funding. But are rankings useful for students or research? When I started post-secondary education back in 1986, university rankings did not exist. I went to a small, inexpensive community college. From there I went to three more universities. Two are today highly ranked, and one not so much. I got an excellent education at each institution. I did not have a better student experience at the top-ranked schools, but a different one. The college had small classes with professors hired for their teaching abilities. I was in classes with students from predominately working class backgrounds. There was the university transfer program, trades and adult basic education. The university transfer program provided me a solid foundation and curiosity about subjects from anthropology to zoology. The research-intensive universities prepared me to become an academic. And similar to what research shows, the top-ranked institutions had more students from middle and upper class backgrounds than the lower ranked. Today I am an academic in a top-ranked institution, but what makes my university better than the college I went to or the university down the street? To answer this question, I wrote a book about how major rankers decide what and who is world class. What makes one university world class and another not depends on what you see as a good and worthwhile education. The “big three” rankers (and most others) see world class universities as, focused on science, technology, engineering and math, that employ academics who write in English and published predominately in journals that many universities can’t afford to subscribe to. To be ranked world class requires wealth. The paradox is that students have little or no say in determining what a good education is but many use rankings to determine which university to attend. Undergraduates might end up at a top ranked university but does that mean they get a better education than at a university with the mission of undergraduate education? Being highly ranked is expensive and not because more money is spent on supporting poor students. A recent Washington Post report found that rich universities expect poor families to offer up 60 percent of their income to support their kids going through an elite university. Popular rankings do not look at student debt or any issues of equity. Institutions with exceptional faculties of arts, education or social work graduating teachers, artist and social workers but they don’t have a chance of being ranked highly against a university that focuses on areas that generate multimillion dollar patents. Through what they do not measure rankings provide a distorted picture that too often leads students and policymakers to make decisions that increase inequity and narrow the ability of universities to be responsive to diverse communities. Since I published Global University Rankings and the Mediatization of Higher Education, I’ve had academics from all over the world relay stories of their cash-strapped universities spending money on ranking managers, being sent to workshops put on by rankers on how to become a highly ranked university. They tell stories of nationally known academics doing work of importance nationally losing status because they aren’t publishing in English. Approximately 5.5 percent of the world’s population speaks English as a first language but major rankers (claiming to do international rankings) do not count materials written in other languages. Language is not merely words but way to thinking and communicating. Reducing what is considered excellence to English does a disservice to expanding conversations and innovation. Others tell stories of being rewarded for community engagement, but now being told this is not useful work because rankers don’t measure it. Others are told they are spending too much time with students and need to focus more on things that count with international rankings. 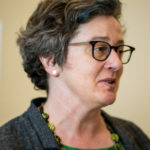 These stories mirror what Ellen Hazelkorn found in her interviews with academic leaders in Africa who spoke about top ranked universities being less willing to develop research relationships with African universities because it would not benefit their ranking. She also found public university funding is increasingly contingent on rankings. Those highly ranked or with the chance of going up in the rankings are given more. What this means is institutions that serve the most privileged get more and those that serve the majority of students get less. University rankings are built on exceptionalism that feeds a hierarchy that homogenizes research and creates greater inequity. Exceptionalism makes it appear logical to judge institutions with disparate aims with one set of criteria for determining excellence. There are models that could be developed that categorize universities so decision can be made based on comparing apples to apples, for example the Carnegie Classification in the USA or the German Center for Higher Education Ranking, which categorizes universities based on their missions. But no simple table will provide the answer to a question that should take some time to answer: is this university fulfilling its specific mission? Will this university meet the passions and abilities of a student who will spend four or more years and thousands of dollars at it? Is this university using its funding responsibly? This requires critical thinking and conversations, which isn’t part of the logic of rankings. This entry was posted in Higher Education Reform, International Debate and tagged University Rankings. Bookmark the permalink. Post a comment or leave a trackback: Trackback URL.